The ReWalk, the first FDA-approved exoskeleton for home use, was a tremendous leap forward in mobility solutions for paraplegics. 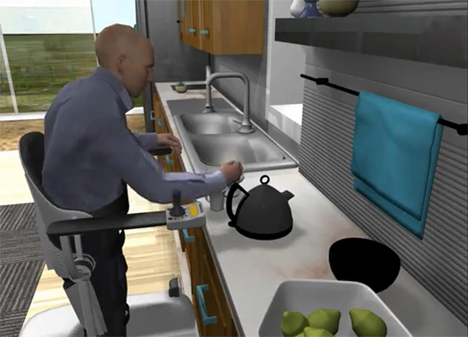 However, the ReWalk requires that the user retains full function of his or her arms and, as such, can only be used by about ten percent of wheelchair users. Dr. Amit Goffer invented the ReWalk and is a wheelchair user himself, but even he can’t use the exoskeleton. That is part of the reason he’s now working with RehaMed Technologies to develop a mobility solution that is closer to a Segway than to a wheelchair. 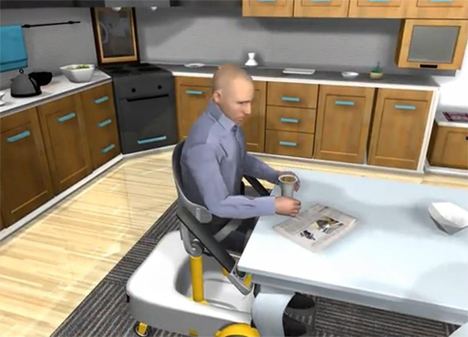 The new invention is called the UPnRIDE, and it gives users the option to travel sitting or standing. While standing wheelchairs are nothing new, what sets the UPnRIDE apart is its incredible stability. Whether in a sitting or standing position, the user’s center of gravity remains the same. This reduces the chances that the user will fall – but if an accident should take place and it looks like the user is about to fall, safety arms pop out to catch him/her, kind of like the airbag safety system used in cars. Dr. Goffer is enthusiastic about the prospects of the UPnRIDE in part because of its ability to easily navigate urban environments. 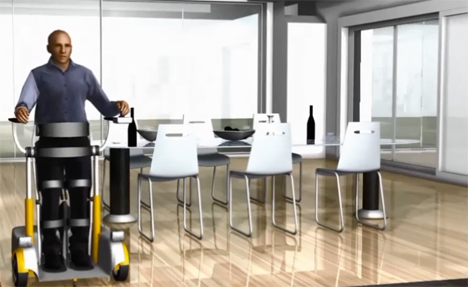 While in the standing position the UPnRIDE resembles a Segway, which Dr. Goffer considers an important point for younger wheelchair users who want to avoid the stigma and limitations of being confined to a wheelchair. Oren Tamari, the CEO of RehaMed Technologies, says that the UPnRIDE is still a couple of years away from being ready for market, but it’s only a few months away from the prototype stage. 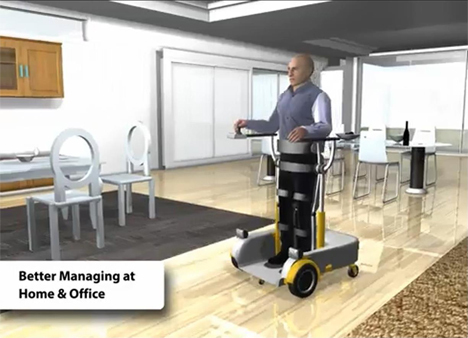 Thanks to the researchers’ hard work, the UPnRIDE could soon do for quadriplegics and MS patients what the ReWalk is doing for paraplegics already. See more in Cybernetics or under Technology. August, 2014.